I am provoked into writing this by a rerun of Patch Adams on TV. The name had registered as something I’d seen, but I’d forgotten how embarrassingly awful it is, displaying mawkish sentimentality on a sickening level. And I got to thinking: how is it that such films get to be made and, having been made, get to be endlessly recycled on our television screens? You would think that something so ghastly would subside into oblivion, too embarrassed by itself ever to reappear. Except there seems to be an audience for it and other films of its ilk, sadly not only as a secret pleasure on DVD. Patch Adams was nominated for a Golden Globe and had the not inconsiderable box office takings of US$202m in 1998. I recall someone in a science fiction novel saying with a perfectly straight face that entropy is the tendency of any system to devolve to its lowest level. 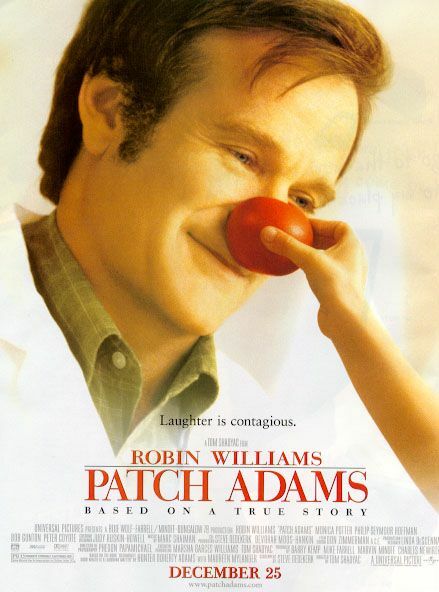 While Patch Adams is not quite of Razzie standard, I think it deserves honorary status. For me, it’s yet one more symptom proving the Hollywood system is in full devolution mode. Why, then, are such films made? Obviously, the studios and the producers who bankroll them must have faith their products will show a profit. In this case, Williams was a star with drawing power and the script contained the right number of clichés. Remarkably, with a production budget of US$90, their faith was rewarded with a profit. Free market capitalism is a wonderful thing. It assumes that, with all transactions voluntary, customers decide what survives to make money. If a supplier routinely offers a bad product, customers will react as Pavlovian dogs and take their business elsewhere. This will drive out the bad suppliers and favour those that offer good products. There were enough people to make a market for Patch Adams, but not all products are so fortunate. Not all customers are the same. The point of an average or the more infamous lowest common denominator is that they are distillations from a potentially wide range of values. Famously, when dissolving their business partnership, Robert Owen said to W. Allen, “All the world is queer save thee and me, and even thou art a little queer.” So, from one person’s perspective, everyone else is different or strange. Life is something we do on our own. We accumulate experiences that shape our opinions and sensibilities. Some of these experiences may be shared but, when added together, the whole tends to be unique. How unique? The degree of strangeness between people may only by marginal in the main, but it can produce radically different responses to the same stimuli. What I like need not be what you like or we might like the same thing but for completely different reasons. You might find something serious and uplifting, the same might make me laugh, or vice versa. Why, you might ask, was I watching Patch Adams. Boredom threatened. I had a few minutes on my own. I did not want to start a new book. There was no choice. . . Most of the time, there is no choice. You either go to the cinema to see whatever dross Hollywood has produced, or you stay at home. You switch on the TV and channel-flip until you find something vaguely watchable. In the arts, there is no guarantee that any work will be any good. The latest album, the latest book, the latest film. . . All you can do is hope. A momentum builds up. The most recent offerings from this band, this author or this director have been good. I will try the next. This may not be very rational but, once formed, habits are difficult to break. This inertia is what the marketers rely on. I should wait for the reviews before buying, except whose reviews do you trust when so many websites are involved in marketing? Reviews on major sites like Amazon are gamed. When it comes to cultural products, there’s a group of people who appoint themselves style leaders. Think fashion and the marketers have programmed the names of the current top designers to pop into our minds. The same applies to most niches. A combination of messages aims to persuade us that this product is the best, better than all the rest. So the mass media manipulates coverage of the “facts” and shapes opinion, telling us that, to belong to the in-crowd, we must all like such-and-such or all do this special thing. No-one questions whether belonging to the in-crowd has any real value. It’s apparently a given that there’s safety in numbers — it’s better to be one of us and not one of them. Yet, curiously, the limited interest in Patch Adams lies in showing one herd’s mentality as cruel and uncaring, while only an eccentric clown can know what is best for all. People are not the same yet the status of authority figures and the power of peer pressure are forged into a force that drives consensus. So millions are convinced that Robin Williams is entertaining. Similarly, J K Rowling is the greatest children’s author of all time and Dan Brown is the best writer of mystery stories since whoever put pen to parchment and produced the Dead Sea Scrolls with the intention of stirring up religious controversy. I suppose all this makes me a culture snob, born to sneer both at films mired in bathos and at books by authors who cannot write reasonably original content in coherent English. Fortunately, there are some films made for the small audience that thinks. Some authors do rise above the routine. But those capitalists who make the commissioning and contractual decisions prefer content that aims at the lowest common denominator. That gives the work crossover appeal and the chance for mass market success. With all the money flowing from the mass market, there can be subsidies for works that will only sell more modestly. So what all this comes down to is that I’m a parasite, pathetically grateful to the masses that like Patch Adams, J K Rowling, Dan Brown and all the other milk cows of the arts world. Without all you, the industry would never make enough money to be able to subsidise publishing the stuff I like to see, hear and read. The order in which I read books is not always linear. Sometimes a book can lurk unread on the shelves, waiting for serendipity to strike or an excuse to arise. Other times, a book is consumed the moment I tear off the bubble wrap that keeps it safe as it wings its way across the skies to me. This is an example of the former, having been sitting with its shrinkwrap intacta for a couple of years. Now I penetrate its covers, I find eleven short stories in this collection from Subterranean Press, four of which are sketches that grew into Counting Heads, the first of the two novels by David Marusek. (ii) if a machine does become intelligent, is it slavery to keep the machine working for us and murder if we switch it off? The critical step to transform a machine from mere programming to something more human is a natural language ability — the power to use words and understand their meaning. As Alan Turing postulated way back in 1950, intelligence is potentially proved by the ability to hold an “ordinary” conversation. So it is that those who write science fiction get ahead of themselves and give machines the ability to learn how to be us. One such mechanism might depend on giving someone a bud that can grow into a fully-formed artificial personality. Except first it must learn from the human it will serve. There is a pleasing irony in most of the stories in Getting to Know You because you might always end up with the machine-based personality you deserve. A saint may beget a saint, a monster . . . Yet, presumably, if this did happen, not only would you have a completely trustworthy confidant who knew all your secrets and could advise on how best to solve problems, but also you would have someone completely disposable — a personality that could be deleted at will if it threatened to go public with your secrets. There is a hard-nosed reality running through most of these stories. Marusek understands how cruel and selfish we can all be, particularly when our minds or our world are touched by fear. In such cases, the reaction may either be violence with a bullet the socially accepted way in which to solve the problem, or apply the myth that the ostrich buries its head in the sand when danger threatens. How easy it would be for a society to have its news media filter out all the unpleasantness so that it could live in peaceful ignorance. This is a powerful collection of stories with only two lightweight entries — one a joke that is stretched too far. It is sad that someone with so much talent should be so parsimonious with his written words. This volume collects all but one of his stories published since 1993. This leads me to a slightly unexpected conclusion. One way in which one might pass a year or so in writing one short story would be to overwrite, endlessly embellishing and burnishing the descriptive passages. Yet, for the most part, the actual writing here is economical. For all that two of the entries are novella length, i.e. for Nebula Award purposes, more than 17,500 words, it would be difficult to find a more stripped down text. All the stories are simple, elegant and, for the most part, a joy to read. This book is long ago out of print. Subterranean Press had a winner on its hands with this. But there was a paperback edition in 2008. If you have not already tried Marusek, this is a terrific introduction. 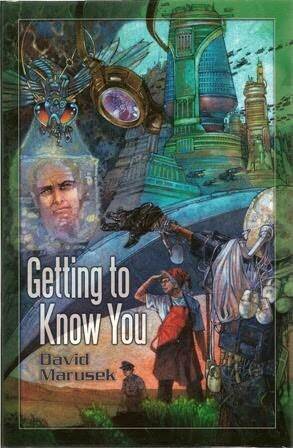 Here is a review of another novel by David Marusek, Mind over Ship. Reverting to a habit demonstrated in some of my earlier reviews, I’m going to start this piece with two minor reminiscences. My grandma was, for the most part, the leading exponent of the idiom in our family. As the matriarch, it was her right to gossip and spin tales for the entertainment of all — the baton of aphoristic pithiness passing through the female line when my grandma died. She it was who would sit at table, munching happily on a piece of lettuce, and weave tried-and-trusted phrases into our conversations. Most appropriate for the dining table was that some “thing” was neither fish nor fowl — that while a dish might obviously hold a food content, its source was not immediately recognisable. However, on occasion, I recall that she was outdone by a cousin who would visit periodically. As a boy, I was pathetically eager to please (curious how radically a person can change over time) and often volunteered to do things. On an early visit by this plain-speaking Yorkshire woman, I asserted the right to make the tea. In anticipation of compliments, I hovered at the table’s edge, watching as the pot was ceremonially poured. A critical eye was brought to bear on the resulting brew and, with the addition of a little milk, the liquid swirled around the tongue as by a connoisseur in search of a vintage blend. I was rewarded with the comment that the tea was like gnat’s piss. This was not just a reference to the colour, but also the failure to achieve the usual thick consistency that would hold a spoon upright in the cup. Instead of feeling humiliated or embarrassed, I simply laughed. We all did. Now, sixty years later, I can trot it out again to a purpose and it should be just as amusing as it was back then, except that shifts in culture twist the interpretation of meaning. Any authors of a nervous disposition should stop reading here — an honest opinion is coming. First, a few definitions: a parody is an attempt to produce humour by aping another’s writing style. Most of the best examples are mercifully short because one soon tires of a mannered comedy. 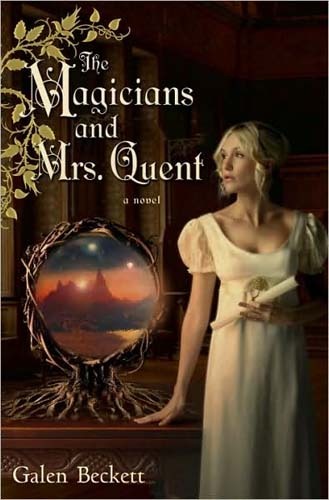 Except in the postmodernist sense, The Magicians and Mrs. Quest by Galen Beckett (pseudonym of Mark Anthony), is not parodying Austen and Brontë. If anything, the result is more of a pastiche where elements from different books are jumbled together to form a new whole. From a technical point of view, it is perfectly possible to write a novel about a society that has a highly stratified class structure based on patriarchalism in modern language. It’s also possible to allow a novel to take on different writing styles to match the evolving content. But here, I fear, Beckett has decided to conflate Pride and Prejudice with Jane Eyre to make a fantasy novel. It feels as if the dictates of plotting were driven by the need to parallel the source material rather than to produce a natural narrative. I wonder what comes next. If a young male character turns lusty, will we have Fielding? If our heroine is marooned on an island, will we have Stevenson? I could conceive of innumerable different plots Beckett could mine and produce magical twists and turns. Except this would be tiresome. In fact, after twenty pages, the aping of a writing style from out of our time was tiresome. It served no purpose other than to demonstrate that here was an author on a mission to serve up rehashed Austen, much as a desperate cook might gather leftovers to cobble a cheap meal together. One might forgive this overuse of different styles if the narrative itself held real interest but, sadly, the plot is weak. In part, this flows from the need to subordinate the magical and fantasy elements to the styles and plots of the originals used as inspiration. But, more seriously, it cannot decide what kind of book it is. Either Mrs. Quent is a clever heroine who, when presented with a puzzle, will worry away at it and, in the style of an amateur detective, arrive at the solution to the riddles and puzzles that surround her. Or she’s a helpless thing, cast hither and thither by the exigencies of events, but comes out smiling because she’s a spunky and resourceful woman. As it is, she’s presented with a riddle and then shown by the author how to solve it. This is not a book about magicians striding out across their country to defend it from invasion. The three key characters are not really aware of their powers and so bumble around in the Dickens sense of the word, inadvertently producing sunlight from cucumbers as Swift would have approved. When Mrs. Quest does magic, she just does it because she can. It’s all too convenient and the scenes have a perfunctory feel to them. To make the book work in a better way, Beckett should have invested a little time reading Horace Walpole. The Magicians and Mrs. Quest is a book that cries out for some real Gothic, not the namby pamby Brontë version. Some purple prose would have enlivened proceedings and given the whole some heft. Frankly, my female relative had the right of such a lack of heft, because this novel is like gnat’s piss and we all know what that tastes like. For reviews of the next two books, see The House on Durrow Street and The Master of Heathcrest Hall. Being old in body and spirit, I very rarely trespass into the YA market. If I am going to spend time on a book, I prefer that the author is trying to address adult sensibilities. In this case, however, I have found Brandon Sanderson sufficiently interesting as an author for the adult market that I decided to see what he can do in the YA market. For the record, this is the second book in the Alcatraz series. The problem with a book written by an adult for the young is that it represents the author’s attempt to match the culture of a different social grouping. This is a difficult trick. As a writer, I find it difficult to write for a specific group that I do not know and understand. For the purposes of these reviews, I write self-indulgently, not caring whether you readers are genuinely interested in what I believe. I write to crystallise what I think, as a discipline that forces me to make explicit what I would otherwise leave unspoken in my mind. When I write for someone else, the work nearly always goes through an editor before publication. This gives me perspective — someone dispassionate reading the content and making a judgement on its appropriateness is indispensable to hitting the target market. I should admit that I have never attempted to write for young readers. If I did, I would need to find groups of young people to read the drafts and tell me whether I had hit the right tone. Only asking an adult editor would seem like the blind leading the blind unless, of course, the editor has a special insight into the way the young currently think. As an aside, I note the controversy over the jacket artwork for Liar by Justine Larbalestier. This would suggest that the editorial staff at Bloomsbury are out of touch with their intended readership’s views on racism. 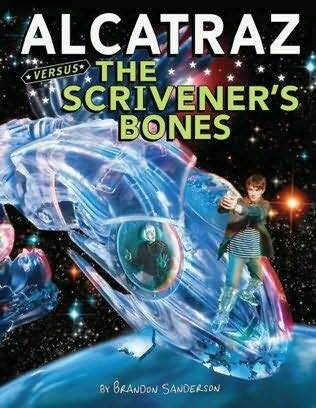 The curious thing about Alcatraz versus The Scrivener’s Bones by Brandon Sanderson is that this is metafiction for the YA market. Frankly, I am surprised that this device should appear here. Perhaps I should read more YA books. I had thought them mostly routine narratives rather than an author deliberately introducing inexperienced readers to a bag of authorial tricks. For me, the result is dissonant. I just do not know who the book is aimed at. Much of the humour is fairly juvenile in the pejorative sense of the word. Whereas Piers Anthony’s Xanth books indulge in a lunatic wordplay that, in the earlier books in the series, produces a madcap air of enjoyability, the humour here feels forced. I think Sanderson is trying too hard rather than allowing humour to emerge more naturally from the situations he is describing. Indeed, if anything, we have a fairly routine adventure story with an authorial gloss that stands as a counterpoint to the narrative. Managed well, this can result in a superior product through synergy. In this case, I do not think the parts fit together well enough. Although some of the author’s monologuing is quite interesting in a didactic way, I find it distracting. I think it would have been better to invest effort in making a more engaging story of the conflict between the group led by our emerging hero and the Scrivener’s Bone called Kiliman. This is not to say that an editor should have directed Sanderson to write a conventional piece of fiction for the target market. There is always room for innovation. But I think the balance of this work is wrong. It would have been better as a less simplistic narrative with fewer authorial interpolations. If you are reading this as an adult, this is nothing like the fantasy fiction Sanderson specifically aims at you. This is not an Elantris/Mistborn style of book. If you are a young adult and you have read this far, congratulations! You get to make the call. There’s another YA novel called The Rithmatist. Recently, I had the misfortune to be bored and, without a reasonable alternative, watched a genuinely awful two-part mini series staring Robert Carlyle, Tom Courtenay, David Suchet and other well-known British TV names who should all have known better than participate in this turkey. Called Flood, it dealt with a tidal surge that overwhelmed the Thames Barrier and inundated London and the surrounding countryside. Not only did it contain every major cliché from disaster movies we have known and loved, but it did so on a TV movie budget. The results were breathtakingly plastic without the redeeming Doctor Who standing in front of the sets to hold them up. As with every such ghastly epic, it also failed to deal with the aftermath. It’s supposedly exciting to see people at risk of being drowned. It’s less glamourous to show people mopping up after the water has receded. In this case, the interest would have been as much political as physical since a fictional expert had predicted the event before the Barrier was built. As ex-President George Bush is only too aware, playing the blame game after a major disaster like Katrina is always a fascinating experience. 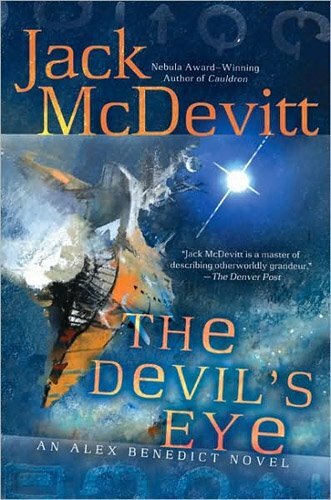 Thus, it is something of a relief to come to The Devil’s Eye by Jack McDevitt. It shows an author prepared to follow through on the set-up. Unlike mystery writers who tend to stop with the big reveal of whodunit and not worry about whether the evidence would stand up in court to get a conviction, McDevitt divides the book into roughly two-thirds of mystery and one third of dealing with the consequences of solving the puzzle. He is to be commended for not shying away from the political fall-out when disaster strikes. Does the book avoid clichés? For the most part, yes. I cannot remember another SF novel with the core problem in this form. The presentation is elegantly simple and we are carefully walked through the investigation as in a police procedural so we can see all the clues fairly laid out. Following the big reveal, there are one or two standard situations in the final third but, on the whole, the book is pleasingly original and well constructed. McDevitt’s uncluttered prose keeps the pace of the plot going nicely. There is also a blend of genre elements with an amusingly knowing set of borrowings from the horror/supernatural field adding to the enjoyment. I found myself reading it through to the end in one sitting which is relatively unusual for me these days. Two minor comments: authors always play games with the titles to their books and, in this case, the game is completely fair in retrospect. Secondly, the book is properly considered a part of the Alex Benedict group of novels although this particular episode predominantly features his assistant Chase Kolpath. All in all, this is an enjoyable read and, for those who like a hard science problem in a reasonably well-thought-out political thriller context, this book is for you. 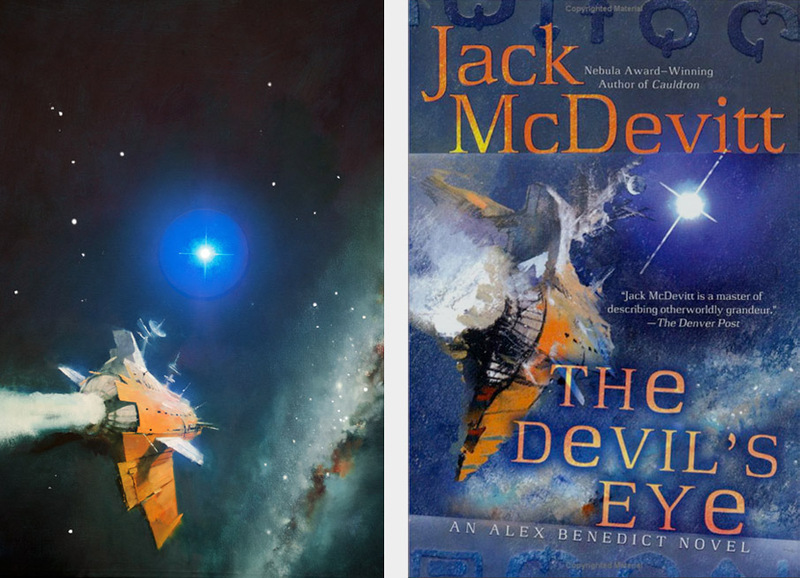 For further reviews of Jack McDevitt, see Cryptic, Time Travelers Never Die, Echo and Firebird. Jacket artwork by John Harris. The jacket artwork by John Picacio was shortlisted for the 2010 Chesley Awards. It was the best of books, it was the worst of books. It was the tale of two books in one. At 775 pages, this is one of the longest books I have managed to read through to the end in the last decade. It is a serious test of patience, requiring the dauntless courage of an epic hero about to set off on a quest to reach the last page. 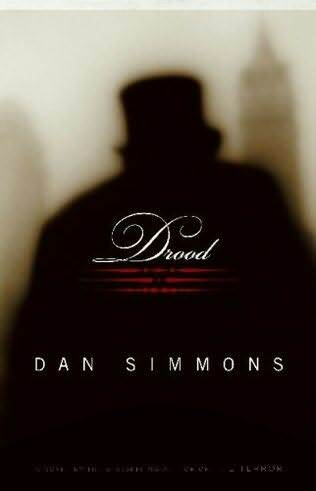 This is Drood by Dan Simmons — a monster of a book that devours your time and energy with a rapacious appetite. There is a real problem for authors who create unreliable narrators and give them the starring role in a first-person narrative. If everything is filtered through the eyes of a drug addict afflicted by paranoid delusions, then the world the novel presents must be distorted. That means any and all historical infodumps become very problematic. Authors love to do research, particularly when they are going to play with real-world characters in a specific place and identified times. In this case, we are at home with Charles Dickens, his family and intimate circle as seen through the eyes of Wilkie Collins. If this was an actual manuscript by Wilkie Collins, it would be redundant to engage in all the historical detail of their lives and times in London. The excuse that this is a document written for future generations does not hold up despite the repeated knowing winks to the Reader as yet more descriptions, explanations and research is dumped on to our poor Reader’s plate. Collins himself would never have written like this. While it is true that his works are rambling, this was the popular style in a Victorian era that first saw publication in serialised form, followed by a later hardback version (often in two or more volumes). He would not have felt the need to explain everything at this length. I am reinforced in this belief because here is a man shown as experiencing mental disintegration. He is slowly becoming more paranoid, his self-admitted schizophrenia growing more pronounced and his delusions more disruptive to everyday life. He does, after all, look through a door and, for a few moments, stay watching a meeting between Dickens, his alternate self and the hypothetical Drood. I do not believe that a man increasingly divorced from reality would include vast digressions from his personal story in the form of factually accurate content. If he did make this editorial decision with the benefit of hindsight, the author would never leave delusion juxtaposed with reality without some acknowledgement. The text as here published is a modern author playing an elaborate game with his readers, and not a warts-and-all confession by a dying author. Worse, if this book is pretending to be an autobiography written by an English Victorian writer, it should be written in Victorian English, leaving the modern American reader to struggle with both the raw sexism, racism and unknowing hypocrisy of Victorian times, and the different vocabulary, syntax and spelling. The format adopted by Simmons is to offer an insight into the mind of an author while he is building up to the creation of what is probably his best work and going through the well-documented domestic upheavals. At its heart, The Moonstone is a wonderful book, being rightly regarded as one of the first true detective stories in the modern sense of the word. It was also controversial in that it features a character seriously addicted to opium. This produced the sensationalism that is indispensable if an author is to market a bestseller. Simmons uses the autobiographical nature of The Moonstone as one of the two hooks on which to hang Drood, the novel. The second hook shadows the unfinished The Mystery of Edwin Drood by Dickens, introducing narrative threads from the episodes published by Dickens before his death. A part of the pleasure in Drood comes from watching the creative processes in both authors as their experiences give birth to literary ideas. The tension, for those who are familiar with the relevant published works, comes from seeing how the addicted Collins responds to Dickens. In fact, they were real collaborators. This fictionalisation explores one possible way in which that collaborative relationship might have worked. We also have Simmons indulging in intertextualism as he interweaves analysis of textual material drawn from the two authors’ works into the text of Drood. Frankly, although this sometimes adds an extra dimension to the paranoia of Collins, it is overused. So this is two works in one. I would have been quite interested to read a literary biography of the collaboration between two such respected authors. Lives are shattered by events. These two men are both suffering, one from what we would today call post-traumatic stress disorder following a near-death experience in a railway accident, and the other suffering from paranoid delusions arising from his drug addiction. But, not being a historian, I cannot say with any degree of certainty where the reality ends and the fiction begins. It is all very well for a modern author to play with history, but this is just annoying. If I had the time, I would disappear into a library and find out which bits are true. As it is, I am left with the terrible suspicion that if I now spout information about either man derived from Drood to a historian, I may be making a fool of myself. It is much safer to read fiction about fictional characters. In the midst of all this history, cod or otherwise, lies an excellent story about a drug addict whose continued and escalating use of opium compounds existing schizophrenia and induces a psychotic break. Collins cannot tell what is real. Some of the set pieces under London have a wonderful feel about them as, in both physical and psychological terms, the author plumbs the depths and drags up corpses whose faces have fallen prey to rats and maggots. The paranoia is palpable as Collins finds fear everywhere, whether climbing the servant’s stairs in one of his homes or speculating on the cause of his mother’s sudden loss of health and “unexpected” death. The central core of this story is Drood who may be a game played between two men. Dickens may create this mythic figure and persuade Collins that Drood exists. Collins may delude himself into believing that he is playing a game with Dickens that involves a person called Drood. Either way, Collins starts off doubting that Drood exists and ends up believing in his existence. This conversion against a background of the physical landscape of slum London is a masterpiece of psychological terror. It is a terrible shame that the act of burying this story together with a literary biography in a pit of fictional quick lime diminishes interest in both. Semiotics considers the process whereby one person communicates meaning to another. Put simply, A formulates a message in which he or she encodes meaning. In some suitable way, this message is transmitted to B who decodes the message and extracts meaning. The problem for A in this system is to ensure that the meaning he or she actually wishes to transmit is the one that B understands when the message is decoded. So, as a no-doubt-apocryphal example from the days when battlefield messaging relied on human messengers, a General receives the message, “Send three-and-four pence, we’re going to a dance.” For the young lovers of decimal currency, the old pound sterling used to be divided into shillings and pence. The phrase, “three-and-four pence” was an abbreviated reference to three shillings and four pence: just the right amount to pay for tickets to the ball. But what the battlefield commander actually said was, “Send reinforcements. I’m going to advance.” This phenomenon is called Chinese whispers and has been captured in a party game where semi-inebriated people sit in a circle and whisper a message to each other in turn and are then amused by how mangled the words get as they pass through many different ears and mouths. So authors must take care to ensure that they say what they mean, and to say it in a way that can be understood by their audience (or something). By cultural convention, some authors achieve universality. No matter when they created their works, they can still be read and enjoyed centuries later. As plays or adaptations into visual storytelling, the audience can still find enjoyment and appreciate how little people have changed. Whether this is the original story of how Leonidas held off Xerxes at Thermopylae as retold by Frank Miller or the film, 300, or Beowulf as endlessly recycled in television or cinematic adaptations, people still respond to heroism in the face of overwhelming odds. Perhaps the writer most accepted as transcending time is Shakespeare. His poetry and plays seem to have captured the widest range of human strengths and weaknesses, and resonate through the ages. Muse of Fire, a novella by Dan Simmons, takes as its conceit, the notion that there would be a market for a troupe performing Shakespeare in the far distant future. I am using “conceit” ambiguously as being both an artistic device for the story itself and pride in an author like Shakespeare whose work has the ability to survive technological and cultural transformation. Like Jack Vance who has a troupe of singers traipsing from planet to planet in the appropriately titled Space Opera, Simmons has a group of travelling players endlessly touring planets where there are human remnants, and performing the Bard. Things like this happen in science fiction. What then follows is an exercise in what those of a technical bent call intertextuality, where selected works from one author are woven into and interpreted to advance the telling of the new story. On a smaller scale, Muse of Fire pursues the same methodology as underpinned the Ilium/Olympos duology. Handled well, the mediation of one text through another can produce interesting synergy. But the danger is that the modern author inflicts his or her own research fascinations on the unsuspecting reader. Striking the right balance in fiction is always a challenge. In this instance, even though I used to be a regular ticket holder at Stratford-upon-Avon, I found the Shakespearean quotes and analysis slightly overdone. While there is no disputing the ingenuity of the plot to take such a cliché and convert it into something more interesting, the end product is only partially successful. Bolting on some super-science, if not fantastic, elements as the environments in which the plays are performed and contextualising these elements in a Gnostic framework does not rescue the whole. Indeed, if anything, this story as a spiritual allegory is somewhat heavy-handed. So I am back to yet another moment of self-reflection to justify why I buy these expensive books from Subterranean Press. I suppose the answer is that some of them do prove their value in literary terms. 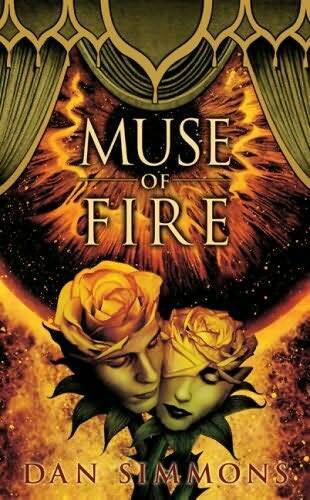 Perhaps, if I was a bigger fan of intertextualism, I would have enjoyed Muse of Fire more. As it is, I am unlikely ever to pick this up again. The jacket artwork is quite pretty, but this is another white elephant of a book for me. The Guiding Nose of Ulfant Banderoz.